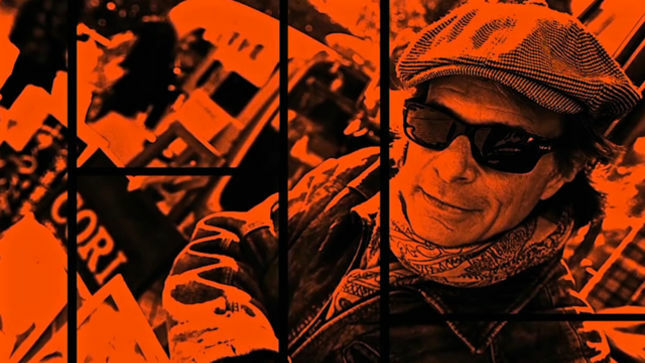 David Lee Roth talks about options for real-life survival on the latest episode of The Roth Show. The singer addresses what to pack in survival “go kits” and what comes next when you experience the need to travel lightly in order to escape situations brought on by circumstances created by weather or terrorists. Roth also shares some perspective and insight into the concept of survival based on his late 1990s experiences as an Emergency Medical Technician (EMT) in New York City. After cranking out an almost endless run of episodes in the past six months, the Van Halen frontman says he’s due for some downtime himself. Written, directed and produced by Roth and mostly filmed at his Pasadena, CA mansion, the set features a dizzying array of images and musical performances with a diverse setlist that runs from techno to blues to mambo to swing, mixing some Roth originals with plenty of covers by artists like Gerry Rafferty, ZZ Top, The Beatles, The Hombres, The Chemical Bothers and ELO, among others.